^ "Bonds charters 500-500 club". DeseretNews.com. 2003-06-25. Retrieved 2019-03-24. ^ BBQ, Cespedes Family (2019-01-22). 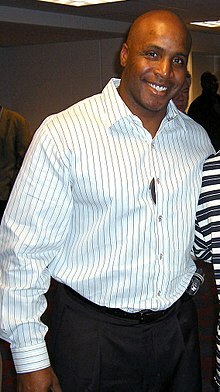 "My favorite Barry Bonds stat is still that he's the only member of the 400 homer/400 steal club and the only member of the 500 homer/500 steal club". @CespedesBBQ. Retrieved 2019-03-24. 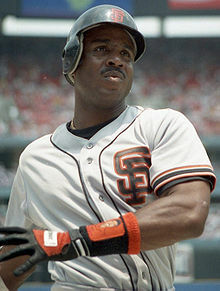 ^ "Barry Bonds Stats". 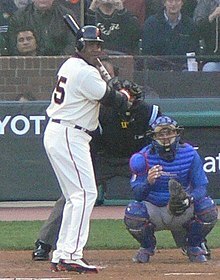 Baseball-Reference.com. Retrieved 2019-01-28. ^ Chass, Murray. 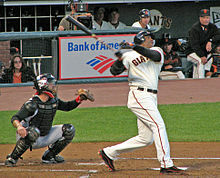 "BASEBALL; Bonds Joins the Long List Of Stars Who Are Injured". Retrieved 2018-10-17. ^ Brady, Todd. 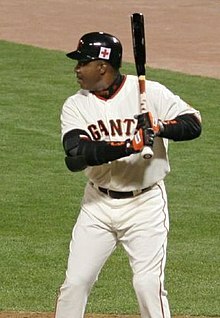 "Barry Bonds | Baseball Prospectus". 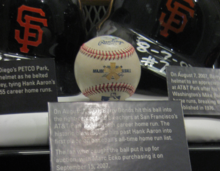 Baseball Prospectus. Retrieved 2018-10-17.